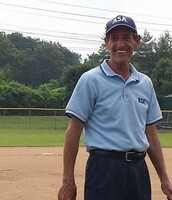 David Lee - 16UA Northern National in Novi, Michigan. I was asked if I would be willing to attend a national tournament in Novi, MI back in the winter sometime. Having family in the area, I said absolutely. 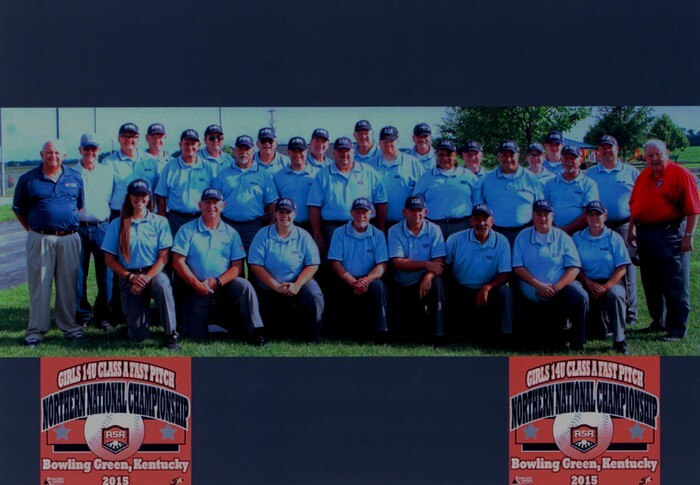 The original list of umpires that I received had only 17 umpires on it, because they started out with only 30 teams. 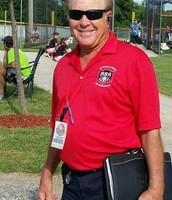 By the time I had arrived in Novi the number of umpires was expected to be 40 and the number of teams had swelled to 65. We had a great tournament, with very competitive teams. Our final four teams were from Minnesota, Wisconsin, Michigan, and Indiana. 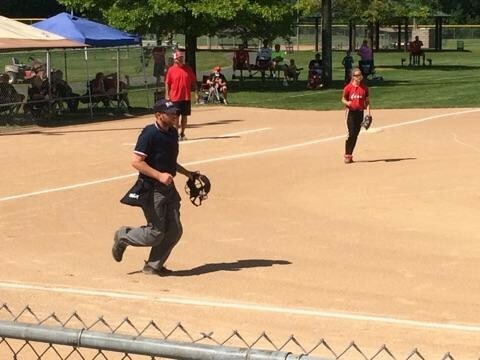 It is an easy job for the umpires when pitchers are making pitches, hitters and hitting, and fielders are making plays. We had the whole package. Softballs put in play and players diving and sliding, and just making plays. 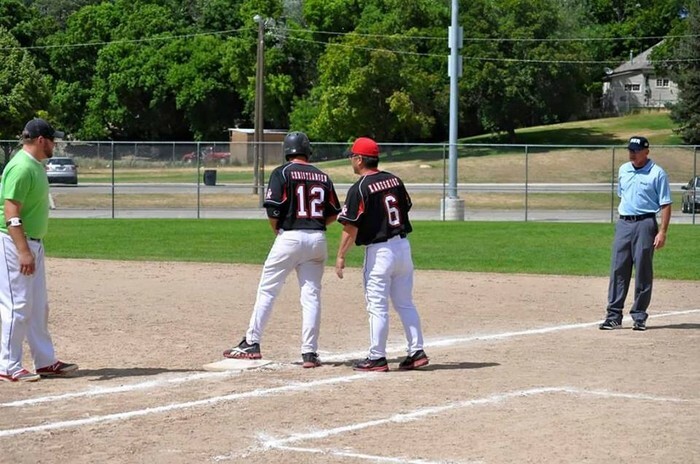 The teams who won made plays and scored runs. It made for a great week. 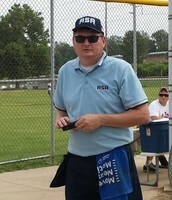 Personally as a representative of the Metro St. Louis ASA umpires, I had a great week. 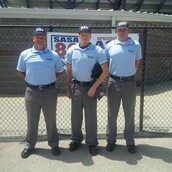 Got to meet and work with a number of fantastic umpires, from Illinois, Wisconsin, and Michigan. 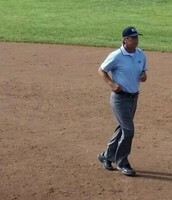 The umpires were welcoming, helpful, and basically great to be around. 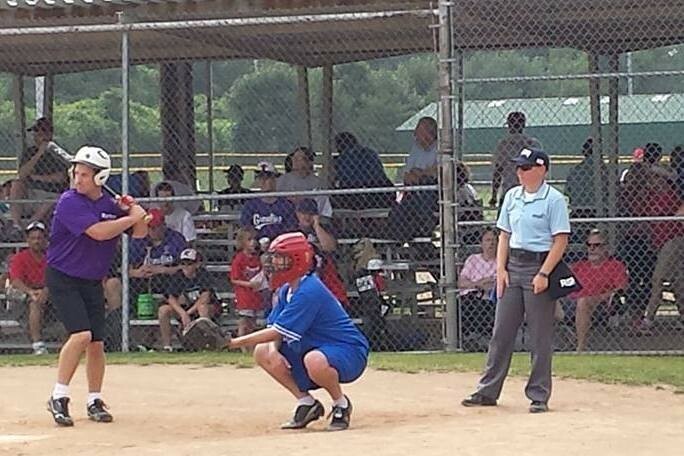 I was fortunate enough to be selected to work the plate in the Championship game. I had a great crew, Larry Klimek U1, and Stephanie Perrie U3 worked with me. 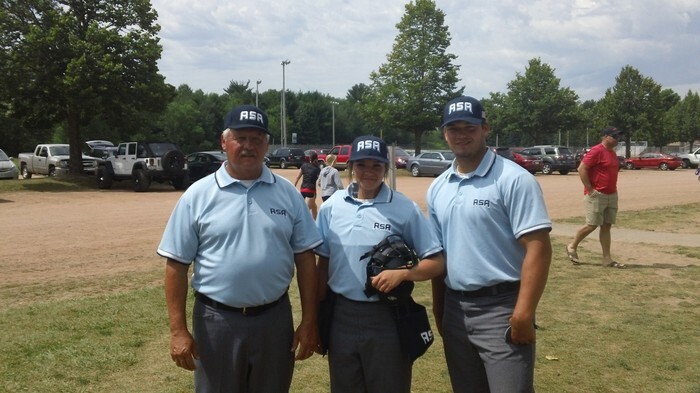 It was an excellent experience for me and I am very grateful for the opportunity to represent St. Louis ASA umpires. 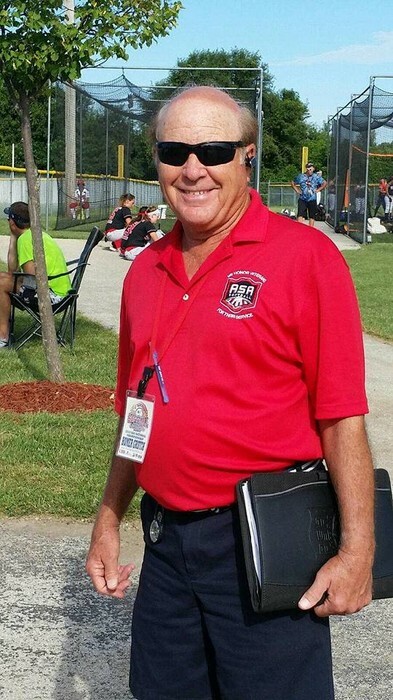 I had a great time at this National Championship as it was my third one, and my greater ease with umpiring skills and mechanics were ready to be looked at by others. It was fantastic working with this crew as I was a lot more comfortable and felt more effective. I enjoyed being a tutor to others and working the ASA way! 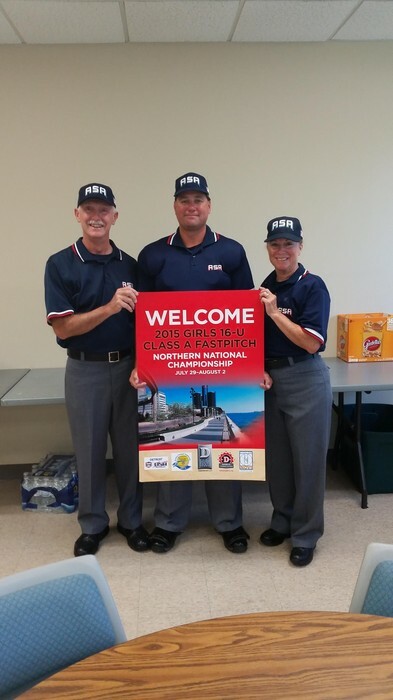 The 18U Northern A National was quite a hit with me. 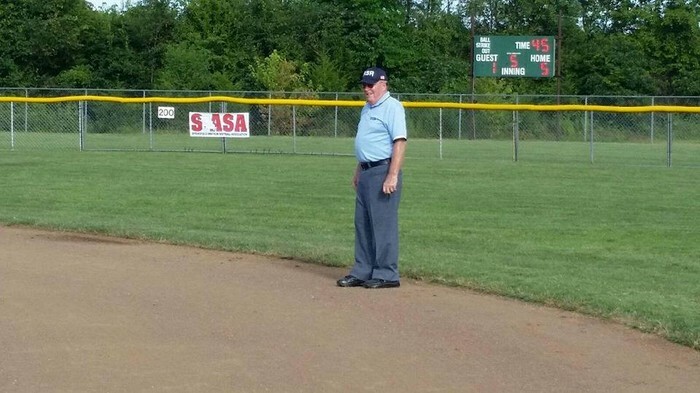 The Killian Complex had awesome fields and the maintenance crew kept them looking great throughout the tournament. Dressing in the college locker rooms made changing and cooling off between games very convenient. I hope many future nationals can play in Springfield. 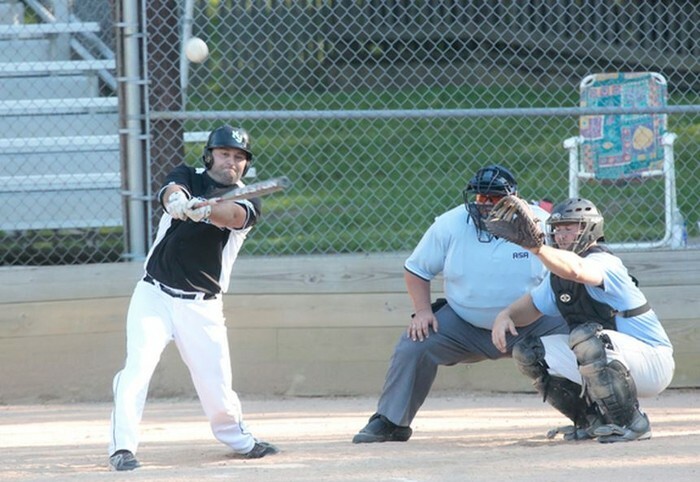 The biggest hits of the tournament were home runs. 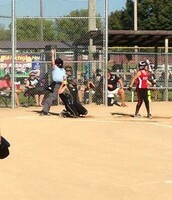 There were A LOT of homeruns! Many games in the tournament were back and forth, high scoring games, with homers flying out from members of both dugouts. 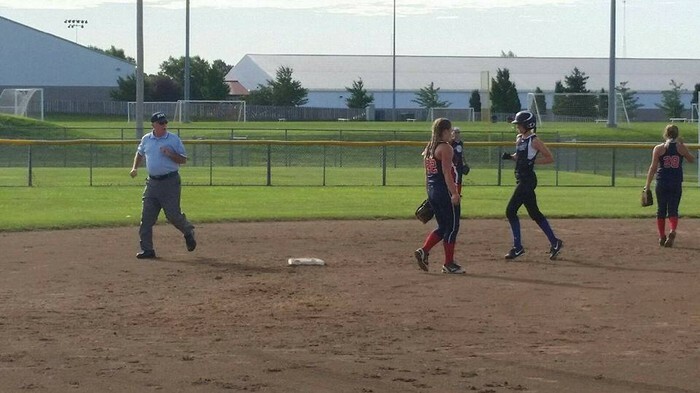 Low scoring, pitcher duels were at a premium in Springfield. 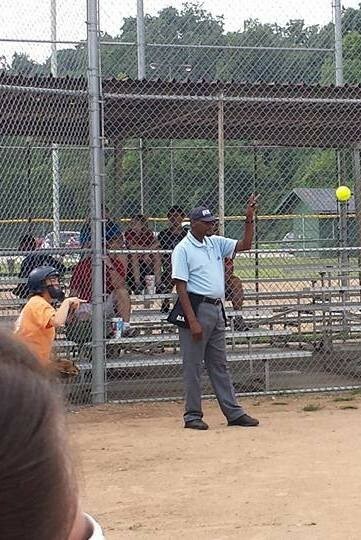 With all the homeruns, keeping ahold of balls was a challenge for all. It seems that exuberant parents were collecting them as souvenirs. 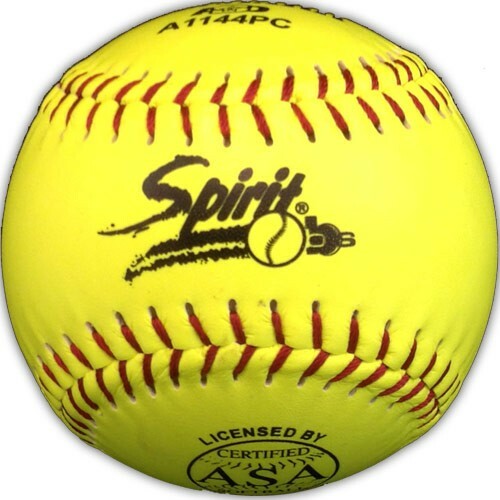 Considering the amount of homeruns hit in the tournament, balls were being collected faster than we could replenish the ones leaving the park! I had a fantastic time in SLC. 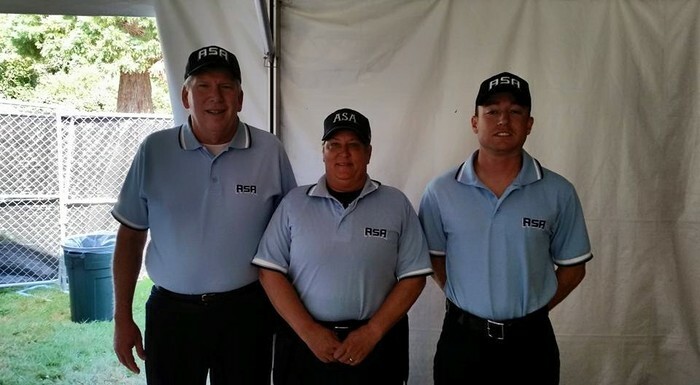 Our tournament ended up small, so we were afforded the chance to work 3man all week. What a great opportunity! The scenery made me giddy. The mountains were right there! I was able to go hiking a couple of times, see the famous Salt Lake and visit the Olympic Training Center in Park City. 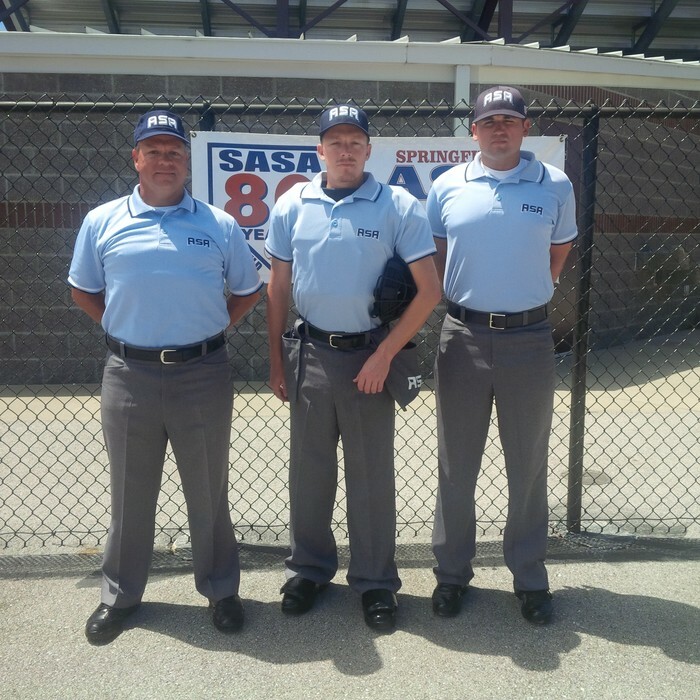 Was given an additional chance to work in Spanish Fork, UT where the mountains were on three sides, the ball was good and the umpires welcoming. A great week of meeting many of our west coast counterparts. I would not hesitate to recommend working in SLC. 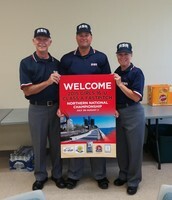 Cindy, Helen, Tom A., and Bob N.
Michael Bland will represent STLMSUA in Cape Girardeau, MO this year. Best of luck to you Michael! What’s coming up in 2016?! 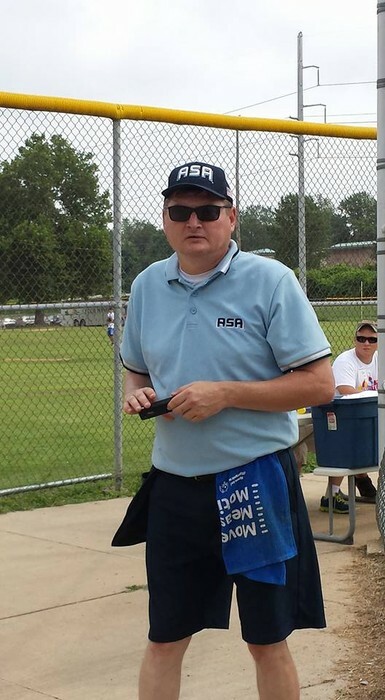 The St. Louis ASA Umpire Staff has a busy fall planned in preparation for new items for 2016! There will be a new Registration Form for starters. 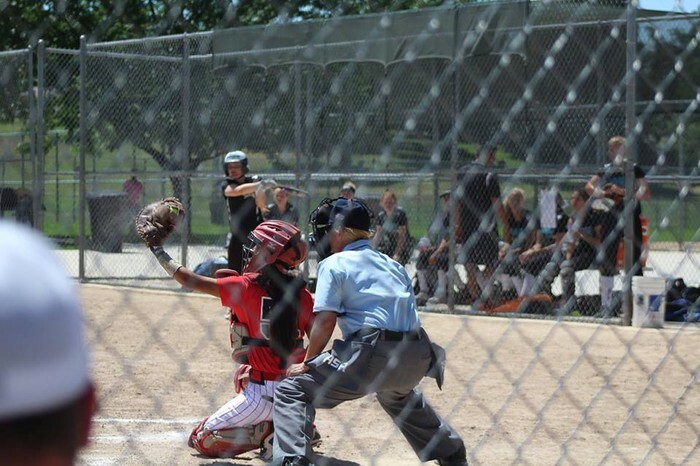 Umpires will be encouraged to register in December if they desire to umpire ASA National Championships. 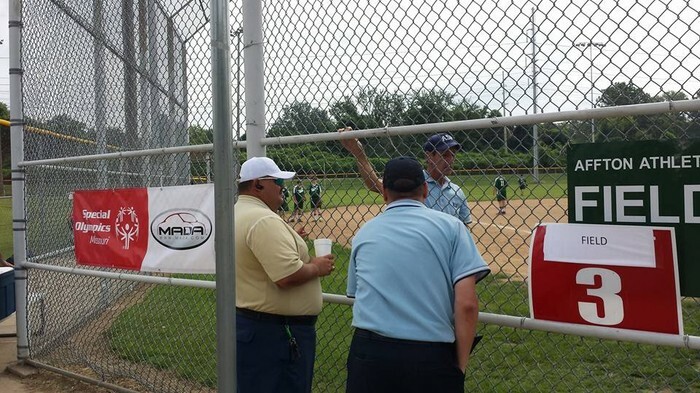 There will be some policy changes, and we’re looking at revamping the umpire clinics! 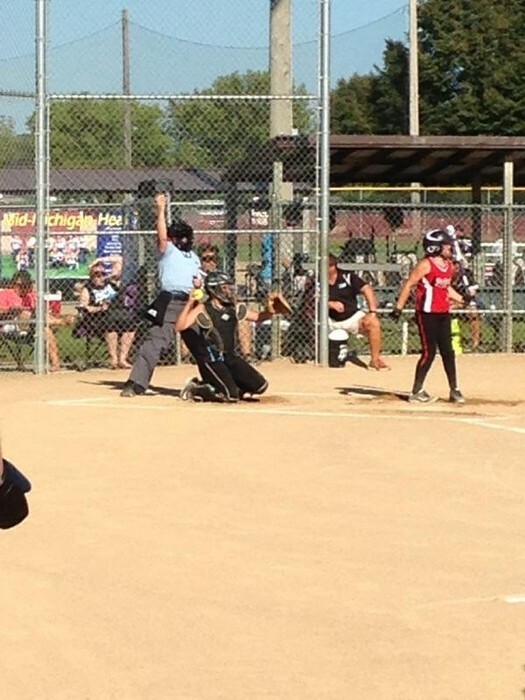 All Fast Pitch Umpires will again need to get a back ground check, and may need to take some concussion training. We will also be looking at options for direct deposits for 2016. If we can make it happen, this will help you get paid a bit earlier, and save the association (hopefully) some money in postage. 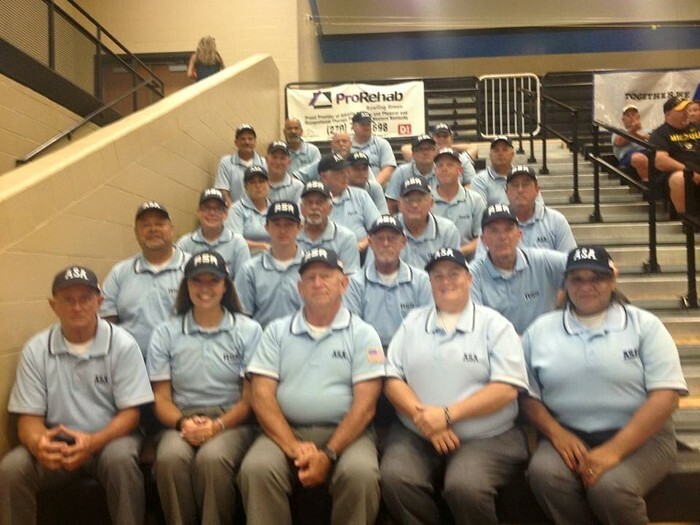 We will again host our annual umpire party and canned food drive. Our goal is to increase our canned goods back up to at least 1000 lbs. Join us Sunday, December 6th from noon – 2 pm in the gymnasium at ABC Park. We plan to have a nice lunch provided along with some great conversation! Put it on your calendar today so we can see you then! 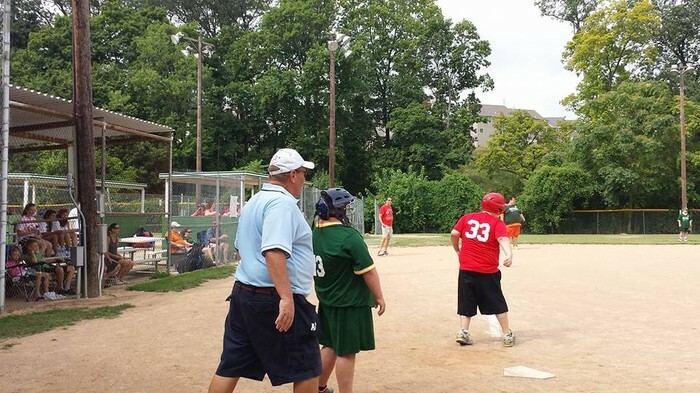 Again, we were asked to officiate the Special Olympics Softball Tournament for 2015. 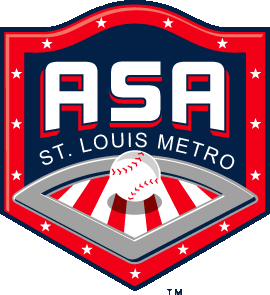 This is held annually at Affton Athletic near Grants Farm. 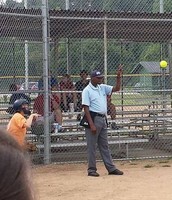 The players, fans, coaches and umpires all have a great time. The athletes are competitive and play hard. 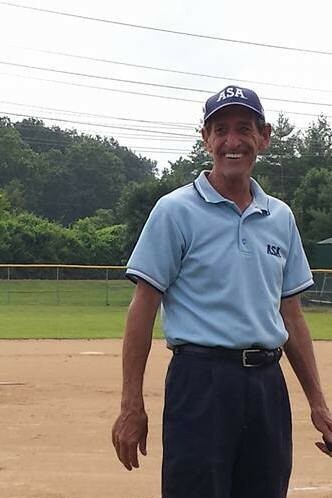 All the umpires volunteered their time and Greg treated us to Happy Joe's afterwards. If you haven't worked this event, put it on your bucket list of things to do. Two of our members experienced direct hits to the mask, causing concussions. 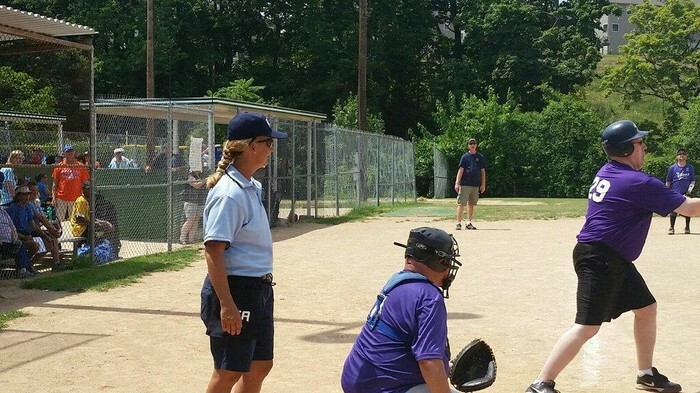 Woz was working in Salem, OR at the 16G Championship when she took a foul ball off the mask. 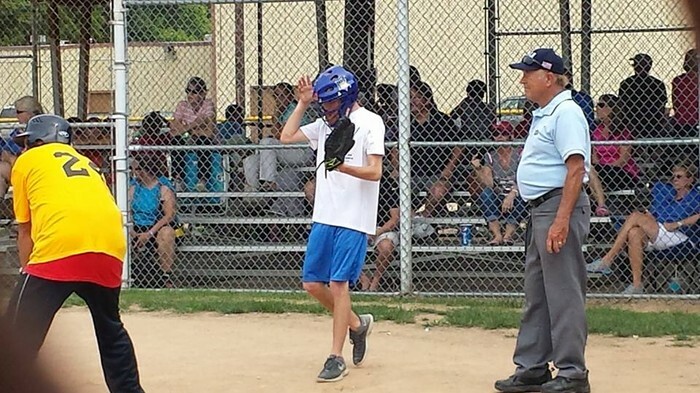 Kevin was working the Mens Major in Ashland, OH, where he too, took a foul ball to the mask. As you can see in the video, it took him down! Both report not feeling terrible at first, but headaches, sore muscles (jaw, neck), some lightheadedness and even some nausea all came into play within a short time. Both continued working. They were big tournaments, right?! Probably not the best decision. Just as we are required to provide a safe experience for the players, we need to be safe, too. If diagnosed with a concussion, an athlete must be cleared for progression to activity by an approved healthcare provider, MD/DO/PAC/LAT/ARNP/Neuropsychologist (Emergency Room physician cannot clear for progression). And this is just getting the all clear to begin working up to previous activity level. It's a minimum of a six (6) day process. 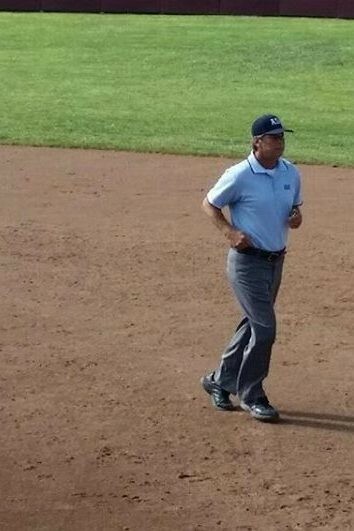 Umpires need to use the same common sense. A good article about concussions can be found here. We all have Advil, Motrin, Ibuprofen, or Aleve with our gear. DO NOT TAKE THESE if you think you may have a concussion. Be smart. Be safe. Kathie also host camps at other locations across the country. The St. Louis Camp offers college teams where most have girls games. 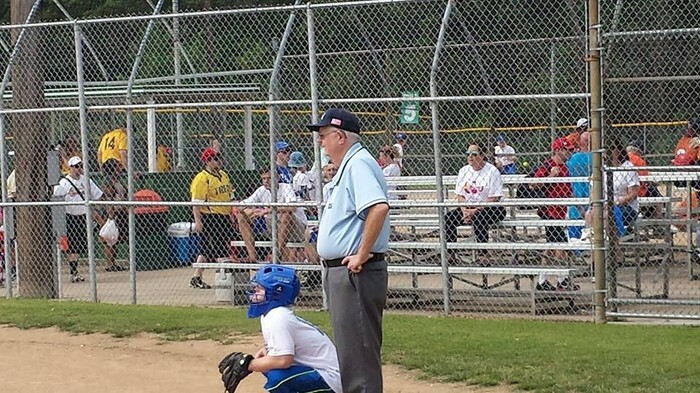 Moreover, the O’Fallon Camp in October is NOT available for St. Louis Umpires. 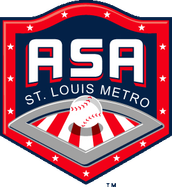 St. Louis ASA has fall tournaments that weekend and umpires are encouraged to umpire them that weekend.